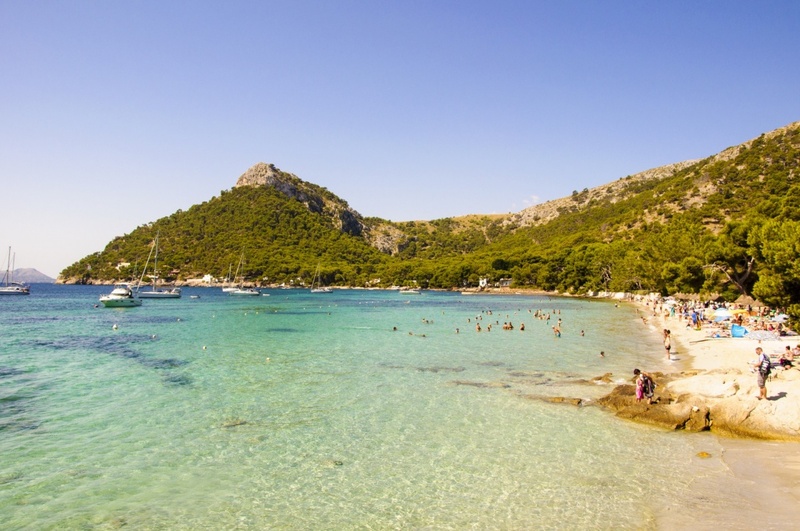 The island of Majorca has more than 120 magnificent beaches. On these beaches, there are coves with pure white and golden sands, clear turquoise sea, caves below incredible cliffs and beautiful coastlines. These beaches each have their own unique personalities. Cala Formentor Beach is located in the Pollenca Bay, on the east of Formentor Cape, the northwest part of Majorca. It is one of the most picturesque beaches on the island and is very popular when it comes to tourists, even though it is only 1,000 meters long and 12 meters wide. It is a Blue Flag beach, and the overhanging trees provide visitors with plenty of shade during hot summer months. The beach itself has excellent facilities, such as showers, toilets, sunbed & parasol rentals and lifeguards on duty. You can also rent jet skis and pedal boats and even take a ride in a glass bottom boat. Visitors are able to take a public bus to the beach, or park their car in the beach car park for around 5 Euro. Boat trips from the nearby Port de Pollença are also available. 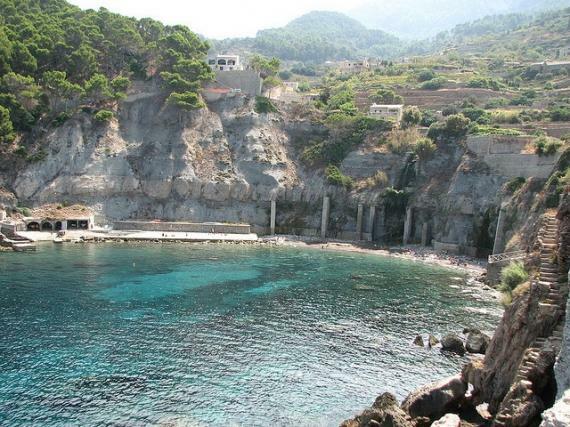 Cala Deià Beach, on the west coast of Majorca, is a petite, shingled, rugged coarse sand beach. 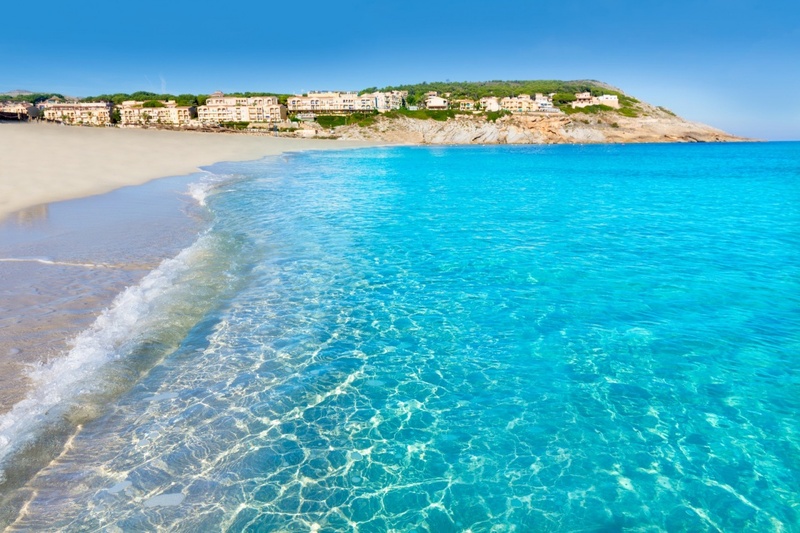 Although Cala Deia Beach does not have much width, it does stretch for up to 70 metres. It is surrounded by picturesque cliffs and crowned by low hills and a pine forest. The fishing huts certainly give the beach a traditional feel, along with the village and popular celebrity hotspot of Deià that stands high on the mountainside. Beach-goers can witness local artists painting the stunning surroundings and sample the fresh fish specialties at the beach restaurants. 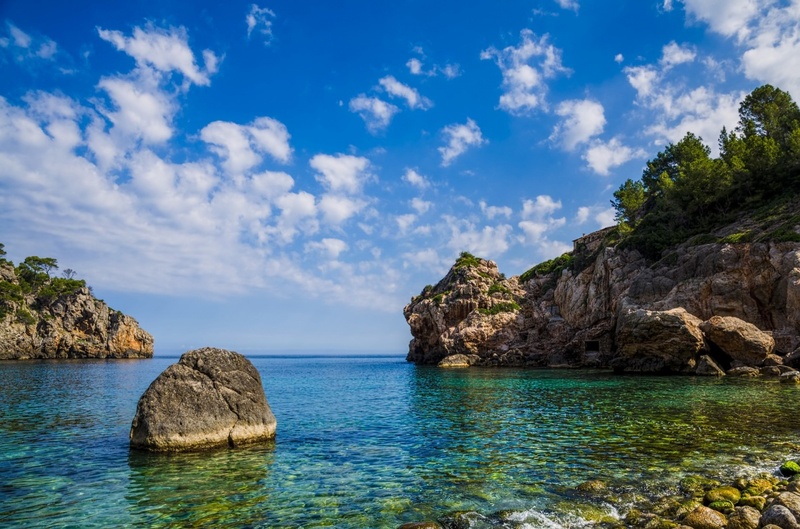 Paid parking is limited, so visitors might be better off reaching the beach by walking down the well-maintained path from the village of Deià. 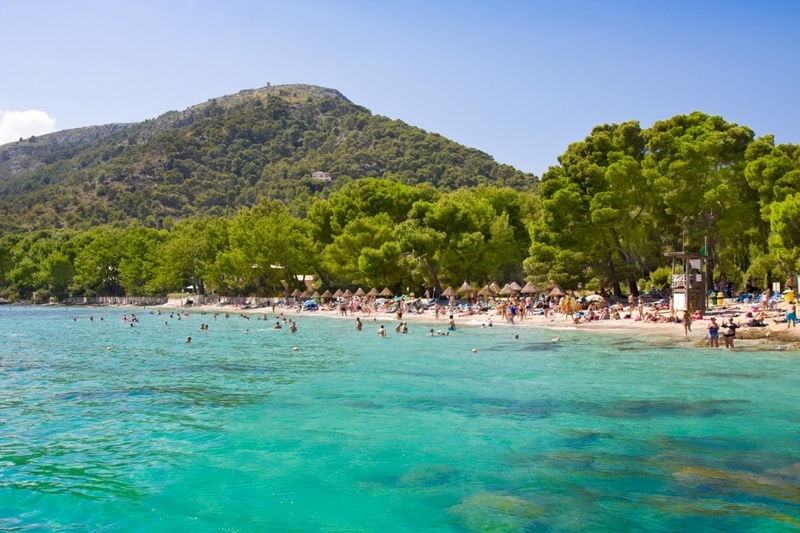 Cala Mesquida Beach is an idyllic, remote beach located in the northeast part of Majorca, providing visitors with a 300-meter length and 100-meter width. Parasol and sun lounger rental is on offer for those who wish to soak up the sun, as well as pedal-boat hire for a day of family fun. Take note that the sea is known to get a bit rough from time to time, and there are lifeguards on duty to warn visitors, particularly those with small children. However, this is an advantage for those adventure-lovers who like to go windsurfing. To the west of the beach is a small resort with a few restaurants and shops. The area in general is largely protected, due to the fact that it is the home of one of the largest colonies of cormorants and gulls in the Balearics - bird-lovers, pay attention! 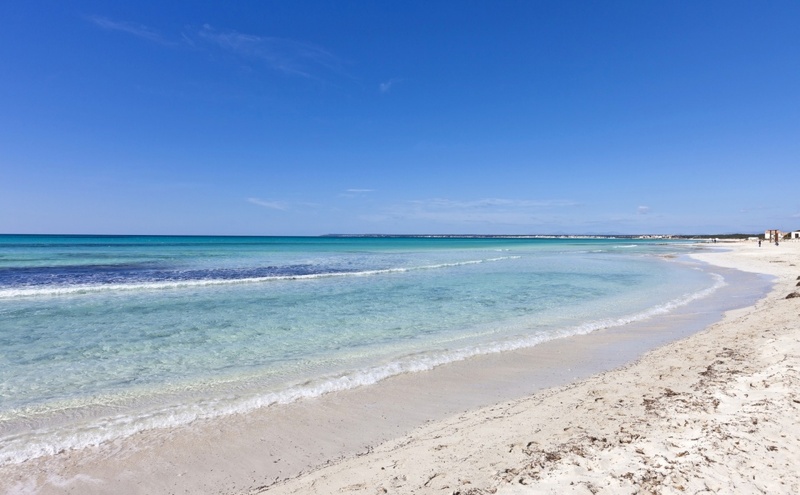 Es Trenc Beach is a beautiful unspoiled beach located in the South of Majorca, and is known as 'Majorca's Answer to the Caribbean', due to its secluded location and it not being connected to any particular resort. Its wild and natural feel is becoming more and more appealing to both locals and tourists. Here, visitors can admire the contrast between sand and vegetation. At 1,900 meters long and 22 meters wide, the beach provides much land to give each visitor their own quiet spot to enjoy the sun. The beach has its own car park, and there is usually around a 3 Euro charge for parking, which is then reduced to half after 4pm. You also have the option to get there by public bus, which will drop you off around 200 meters from the beach. Banyalbufar Beach is a breathtaking cove located on the Tramuntanta mountain range, on the west coast of Majorca. Visitors can find themselves surrounded by mountains and trees, a sea with crystal-clear water, and are also able to enjoy the general peace and quiet of the beach. As the 'playa' itself is difficult to reach by car, people usually park in the village of Banyalbufar and then walk down a narrow path to the beach. Because of the location and lack of facilities, the beach is not known to be very child-friendly, but at the same time, is ideal for those who would love their quiet time in a stunning location with a great view. Banyalbufar Beach also a small cliff where you can have a 'natural shower' and it is really recommend to go there to dive, as you can find a lot of sea plants and incredible sea life.